Stalin and the Warsaw uprising - Soviet-Empire.com U.S.S.R. I'm just wondering how much more to the story is there than Stalin suppoesdly ordered the Red Army to stop its advancement, so the uprising would fail and the takeover of Poland would be easier? Last edited by Szabo on 21 Aug 2010, 16:16, edited 1 time in total. Seems there's an entire website devoted to just this issue. ■Global Politics In the early spring of 1943, the Soviet Union broke off its diplomatic relationships with the Polish government-in-exile. This was in response to a Polish call for an International Red Cross investigation of the Katyn massacre. From that point on, the Soviet Union's government became openly hostile to the lawful Polish government in London and its representation in occupied Poland. ■Lack of Support The Russian East front offensive had stopped on August 3rd just ten miles from Praga, Warsaw's right bank district. Although Russia controlled over 100 airfields within Warsaw's range, their planes disappeared from the Warsaw sky until September 10th. Moreover, the first massive Allied airdrop took place on September 18th at the time the Uprising was already doomed.This delay was in large part caused by the Soviet Union's refusal to allow Allied planes on missions to Warsaw to land on its airfields. On September 16th, when the Red Army had reached Warsaw's right bank, it made only a half-hearted effort to storm the city. All their attempts were conducted by the Russian-commanded Polish Army of Gen. Berling. ■Miscalculations The Home Army believed that the Soviet Union's military goal of their spring offensive was to capture Warsaw. Poles were unaware that this objective might be superseded by the Soviet Union's political goal of eliminating all of the potential opponents of the future communist-led government in Poland. The Home Army did not take into account the consequences of the agreement reached among Roosevelt, Churchill and Stalin at the Teheran conference at the end of 1943, which placed Poland within the Soviet sphere of influence (control). Also, unknown to the Poles, at that conference Stalin received from Roosevelt assurances [ teheran ] to acquire the Polish eastern provinces the Soviet Union occupied during 1939–1941 as a result of the Ribbentrop-Molotov pact. On entering Poland we were at once faced with a multitude of complex problems. In the liberated territory, which by now extended to the Vistula, there were many armed Polish groups who had fought the occupying forces: the Gvardia Ludowa, Armija Ludowa, Armija Krajowa, Bataljone Chlopske. There were also mixed guerrilla groups led by Soviet officers who had been stranded or landed on enemy-held territory. The different groups embraced people of every conceivable political affinity drawn together in the struggle against the common enemy. Now, with the coming of our troops, they received the opportunity of merging into a powerful force. The Polish civilian population gave the Red Army a very warm welcome. They were obviously glad to see us and did all they could to help rout the Nazi invaders as speedily as possible. As it advanced, the Polish 1st Army swelled rapidly with volunteers from among the local population. Units of the Gvardia Ludowa, Armija Ludowa and other resistance forces joined it. Only the AK - the Armija Krajowa - kept aloof. Our first meeting with representatives of this organization left an unpleasant impression. On receiving information that a Polish formation calling itself the 7th AK Division had occupied the forests north of Lublin, we decided to send out several staff liaison officers to contact them. At the meeting the AK officers, wearing Polish uniform, held aloof and rejected our proposals for combined operations against the Nazis, declaring that the AK took its orders only from the London Polish Government and its emissaries. They defined their attitude towards us in the words, 'We shall not use arms against the Red Army, but we do not wish to have any contacts'. A sticky situation, to say the least. Meanwhile the Polish National Liberation Committee assumed control as the central authority of the People's Government, and with it the responsibility for handling all such ticklish problems. At the Polish Government's invitation I visited Lublin, where I met most of its members. They were all patriots of their country and at the same time internationalist revolutionaries. They were shouldering a heavy burden, but were optimistic and in high spirits. I attended a parade of units of the Polish 1st Army and a demonstration of the working people of Lublin. From that time on we maintained the closest contact with the Polish Government. On 2 August, our intelligence agencies received information that an uprising against the Nazi occupation had started in Warsaw. Startled by the news, the Front HQ immediately went hunting for information to assess the scale and nature of the uprising. It was so sudden that we were quite at a loss, and at first we thought that the Germans might have spread the rumour, though we could not understand its purpose. Frankly speaking, the timing of the uprising was just about the worst possible in the circumstances. It was as though its leaders had deliberately chosen a time that would ensure defeat. These were the thoughts that involuntarily came to the mind. At the time, our 48th and 65th Armies were fighting more than a hundred kilometres east and north-east of Warsaw. Our right wing had been weakened by the withdrawal of two armies to GHQ Reserve, though we still had to overcome strong opposition, reach the Narew and gain a foothold on its western bank. The 70th Army had just taken Brest and was engaged in mopping-up operations in that region. The 47th Army was fighting at Siedlce, its front facing north. The 2nd Tank Army was bogged down on the approaches to Praga, the Warsawa suburb on the east bank of the Vistula, and was busy repelling the counter-attacks of the German armour. The Polish 1st Army, 8th Guards and 69th Armies had forced the Vistula at Magnoszew and Pulawy, south of Warsaw, and were seizing and widening bridgeheads on the western bank: this was the main task of our left wing, a task within their capacity which it was their duty to carry out. Such was the position of our forces when the uprising began. Certain carping critics in the Western press did at one time charge the First Byelorussian front and, of course, me as its Commander, with deliberately failing to support the Warsaw insurgents, thereby condemning them to death and destruction. The Byelorussian campaign had been without parallel in scope and depth. On the front's right wing the advance had exceeded 600 kilometers. Fighting all the way, our forces had strained to the utmost to carry out the tasks set by GHQ. Warsaw, however, could have been liberated only in a new major offensive operation -which was launched later on. In August, 1944, many important measures would have had to be taken to capture Warsaw, even if only as a large bridgehead. The fact of the matter is that those who had instigated the people of Warsaw to rise had no intention of joining forces with the approaching Soviet and Polish armies. On the contrary, they had feared this. They had been concerned with other things. For them the uprising had been a political move with the objective of assuming power in the Polish capital before the Soviet troops entered it. These had been their orders from the people in London. In their mighty westward movement, sweeping aside all obstacles placed in their path by the enemy, the troops of our front had more than fulfilled their tasks by gaining footholds to prepare for a new operation. But it required time to launch it. To be sure, Warsaw was close, we were engaged in heavy fighting on the approaches to Praga. But every step cost a tremendous effort. With a group of officers I watched the 2nd Tank Army in action from an OP on the top of a tall factory chimney. We could see Warsaw. A pall of smoke hung over the city, houses were burning amid the flashes of bombs and shells. Obviously, heavy fighting was going on in the city. So far, however, we had no contact whatsoever with the insurgents, though our intelligence agencies had made every effort to get in touch with them. The Polish comrades from Lublin did much to untangle the Warsaw events. We soon found out that the uprising had been organized by a group of AK officers and had begun on 1 August, following a signal from the Polish emigre government in London. The uprising was headed by General Bor-Komorowski and his assistant, General Monter, Commander of the Warsaw Military District. The Armija Krajowa had played a leading part, its units were numerically the strongest, best armed and organized. All patriotically-minded inhabitants of Warsaw, people burning with hatred of the Nazi invaders and eager to throw the oppressors out as quickly as possible, had joined the uprising. With arms in hand the people of Warsaw tried to smash the enemy. That was their only thought. However, those who had initiated the Warsaw uprising in that exceptionally unfavourable situation ought to have considered before venturing on this move. From all that I had succeeded in gleaning from the Polish comrades and the information that had reached the Front HQ, the only conclusion that suggested itself was that the leaders of the uprising were doing their best to isolate the insurgents from any contacts whatever with the Red Army. As time passed, however, the people began to realize that they were being betrayed. The situation in Warsaw deteriorated, bickerings broke out among the insurgents, and it was only then that the AK leadership finally decided to appeal to the Soviet Command -via London. The Chief of the General Staff, A. I. Antonov, established contact between us and the insurgents immediately on receiving the message of request. On the second day after that, 18 September, the BBC broadcast a report from General Bor-Komorowski to the effect that the insurgents’ actions were being co-ordinated with Rokossovsky’s HQ and Soviet planes were continually dropping arms, ammunition and food for them. Getting in touch with the First Byelorussian front’s command presented no difficulty at all. Only the desire was needed. But Bor-Komorowski had decided to contact us only after the British attempt to help the insurgents with supplies from the air had failed. One day eighty Flying Fortresses escorted by Mustang fighters appeared over Warsaw. They flew over in groups at an altitude of 4,500 meters, dropping their load. Naturally, from such a height the cargo was scattered over a large area and much of it failed to reach the insurgents. German AA guns shot down two planes. After that the Allies made no further attempts. In describing all this I have run somewhat ahead. I shall have the opportunity to return to the Warsaw events again. Now I should like to get back to the fighting in which our troops were engaged. The enemy had detected a weak point in our positions between Praga and Siedlce, and decided to strike at the flank and rear of the troops that had forced the Vistula, south of the Polish capital. He had concentrated several divisions on the eastern bank in the Praga area, specifically, the 4th Panzer, 1st Hermann Goering Panzer, 19th Panzer and 73rd Infantry. On 2 August, the Germans counter-attacked, but were met on the approaches to Praga by units of our 2nd Tank Army coming up from the south. A fierce head-on engagement ensued. The German troops, with the strong Warsaw defence area behind them, were in a better position. It was a situation in which the Warsaw insurgents could have tried to capture the bridges over the Vistula, and take Praga by attacking the Nazis in the rear. This would have been a great help to our 2nd Tank Army, and who knows how events might have developed. It, however, ran contrary to the plans of the London Polish Government, which had three representatives in Warsaw, as well as to plans of Generals Bor-Komorowski and Monter. They had performed their evil mission and disappeared, leaving the people they had provoked into this gamble to pay the price. The Second Byelorussian front on our right was lagging somewhat behind, while the 65th Army, failing to encounter any appreciable enemy resistance, quickly negotiated the Belovezha Forest –on emerging from which it landed in a trap and was attacked from two sides by units of two panzer divisions. They steam-rollered right through the middle of the Army, carving it up into several groups and for a while cutting the commander off from most of the formations. At the same time, farther to the west the 4th Guards Cavalry Corps had been forced back to the River Bug north-west of Brest and surrounded there. These setbacks were reversed by timely and skilful action by the army commanders together with the sending of reinforcements to the threatened areas. The first half of September saw extensive, protracted fighting often going on well into the night. The enemy strove to destroy our bridgeheads on the Vistula and Narew at all costs. As usual he used Panzers in force, wave after wave attacking Chuikov’s troops on the Vistula and Batov’s on the Narew. But it was all in vain, and his attacks were repulsed. After losing hundreds of tanks and self-propelled guns and tens of thousands of men, the German Command was forced to concede defeat and assume the defensive. A breakthrough on the Vistula-Narew line would open the road into Germany proper. That is why the German Command continued a steady build-up of forces and means, striking at our bridgeheads and stubbornly defending their positions on the right bank of the Vistula, with occasional counter-attacks. It was a difficult situation. A powerful enemy group was concentrated in front of Warsaw. It comprised the 5th Viking SS Panzer Division, the 3rd Totenkopf SS Panzer Division, the 19th Panzer Division and up to two infantry divisions. We could not allow this threat to continue and when the 70th Army came up, it was decided to try and rout the enemy forces holding the territory before Warsaw and capture Praga, its suburb. The 47th and 70th Armies, units of the Polish 1st Army, the 16th Air Army, and all the reinforcements that could be spared from other sectors of the Front, were committed to this operation. On 11 September, the fighting began, and by the 14th the troops had routed the enemy and taken Praga. The infantrymen, tank crews, gunners, engineers and airmen fought with great courage along with the gallant men of the Polish 1st Army. We also received great help in the street fighting from the people of Praga, many of whom gave their lives in the common cause. This was when the uprising in the Polish capital should have started. A joint strike by the Soviet Army from the east and the insurgents from Warsaw, taking the bridges, could have succeeded in liberating and holding Warsaw, though even in the most favourable circumstances that would have been just about all the front’s troops could do. Our forces cleared Praga of the enemy and came out on the eastern bank of the Vistula. All the bridges joining Warsaw with the suburb were gone. Fighting still continued in the capital. Hostilities also continued in the Modlin sector, north of Praga. A relative calm had settled over the Narew bridgeheads, but fierce clashes flared up on the western bank of the Vistula. The troops holding the Magnoszew bridgehead were especially hard-pressed. 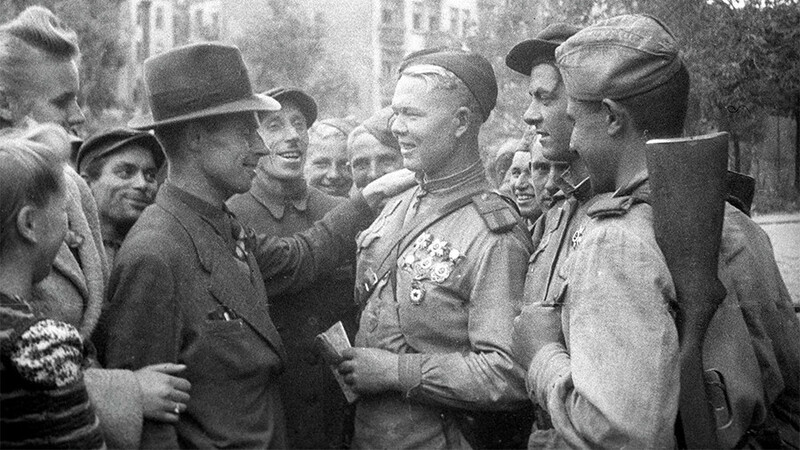 I must say that we succeeded in holding it largely because the defence was led by General Chuikov, Commander of the 8th Guards Army, who remained in the very midst of the inferno all through the fighting. To be sure, the front command did all it could to give timely help with reinforcements and aircraft. The tragedy of Warsaw kept worrying me, and the realization that it was impossible to launch a major rescue operation was agonizing. I spoke with Stalin over the telephone, reporting the situation at the front and everything relevant to Warsaw. Stalin asked whether the front was capable of immediately launching an operation with the object of liberating Warsaw. When I replied in the negative he directed us to give all possible help to the insurgents so as to ease their plight. He endorsed all my proposals concerning how we could help them. I have mentioned that, starting with 13 September, we had begun to supply the insurgents by air with weapons, ammunition, food and medical supplies. This was effected by our Po-2 night bombers, which dropped their loads from low altitudes at points indicated by the insurgents. In the period between 13 September and 1 October, 1944, front aircraft flew 4,821 sorties in aid of the insurgents, 2,535 of them with various supplies. Our aircraft also gave air cover over districts indicated by the insurgents and bombed and strafed German troops in the city. The front AA artillery also helped the insurgents with cover from enemy air attacks, while our ground artillery suppressed enemy artillery and mortar batteries. We parachuted several officers into the city for liaison and fire adjustment and succeeded in stopping enemy air raids over insurgent positions. Polish comrades who managed to cross over to us spoke with great appreciation of the effectiveness of our air and artillery operations. Various insurgent organizations gladly welcomed our liaison officers and fire adjusters. But the Polish patriots warned us that the AK refused to have any dealings with us, and their leadership was behaving extremely suspiciously, fanning hostile sentiments against the Soviet Union, the Polish Government in Lublin, and the Polish 1st Army. It seemed strange that Bor-Komorowski had never even tried to establish direct contact with the front HQ, although the General Staff had provided him with the code. It was obvious that the politicians were prepared to do anything except co-operate with us, and shortly this was confirmed. For the purpose of extending more help to the insurgents, we had decided to ferry a strong force across the Vistula, to Warsaw. Organization of the operation had been undertaken by the Polish 1st Army HQ. The time and place of the landing, the plans for artillery and air support and co-ordination with the insurgents had all been agreed in advance with the leaders of the uprising. On 16 September, units of the Polish Army embarked to cross the Vistula. They landed at points on the bank supposedly held by insurgent units, which was what the whole plan had been based upon. But then these footholds were found to be in Nazi hands! The operation developed haltingly. The first assault succeeded in gaining a foothold with great difficulty. More and more forces had to be thrown into action, and casualties began to soar. Yet the insurgent leaders, far from giving any help to the assault forces, did not even try to contact them. In such circumstances it was impossible to hold on to the western bank, and I decided to call off the operation. We helped the assault party to return, and on 23 September these units of three infantry regiments of the Polish 1st Army rejoined the main forces. In undertaking their heroic assault, the Polish soldiers had consciously embarked on a mission of self-sacrifice to help their compatriots. They had been betrayed by men who held the interest of the ‘powers that be’ above those of the country. Soon we learned that, on instructions from Bor-Komorowski and Monter, the AK units had been withdrawn from the riverfront suburbs into the heart of the city. Their place had been taken by Nazi troops. Among those who had suffered had been units of the Armija Ludowa, whom the AK command had not warned of their intention to withdraw from the riverfront. From that moment the AK leadership began to prepare for capitulation, which is confirmed by fairly extensive archive materials. Our offers to help those desiring to escape from Warsaw to the right bank were left unheeded. After the capitulation only a few dozen insurgents managed to cross to our side of the Vistula. The Warsaw uprising thus reached its tragic conclusion. The uprising fighters did not represent Poland Stalin had planned. Planes were supposed to be used to drop supplies for the fighters with parachute containers - but before the drops started the NKVD informed that parachutes were not needed, and drops were actually done without parachutes using grain sacks. What do you know; supply drops ended up being smashed when they hit the ground (http://www.youtube.com/watch?v=PbLy29tK ... re=related skip to 06:00 and see first hand accounts from the uprising AND Polish who fought in ranks of the Soviets and did the drops). Allied planes which could have given support for the Polish fighters were refused landing rights on the Soviet lines. Rokossovsky's War Council cabled Stalin on August 8, saying that their army group could attack the Germans in Warsaw beginning on August 25, provided they were assisted by some units from the First Ukrainian Front to the south of them. However, the attack on Warsaw did not take place. The units which Rokossovsky needed were sent to Romania by Stalin. At this time, the Soviet media were maintaining absolute silence about the Warsaw rising, while Soviet military superiority over the Germans in this sector of the front was overwhelming, particularly in the air. Added to this was the refusal to allow Allied planes to land, so that those who risked flying from Bari, Italy, and back without landing risked almost certain death. Instead of advancing, Rokossovsky's army group sat on the eastern bank of the Vistula, and then occupied east bank Warsaw in mid-September. In fact, Rokossovsky did not "liberate" what was left of the city until January 17, 1945. The only attempt from the Soviet ranks to give direct help to the Home Army was the landing of a battalion of infantry from Berling's Polish Army in west bank Warsaw. However, they did not get Soviet artillery support and had to retreat back across the Vistula with heavy losses. Berling soon after criticized the communist leadership in a letter to Stalin. Directly afterward, came his dismissal. I think that after British betrayed Poland it was very simple to Stalin cooperate with Hitler until very end to kill as much Polish as possible. Weird. It said above post was new but it says august 22nd.. He ordered to stop his advanced forces on the outskirts of Warsaw. He denied Western Allies to land on polish airfields (occupied then by Soviets). He didnt support insurgents with his own supplies. So in my opinion he cooperated with Hitler for the very last time. The nationalist Polish government trie to steal the victory from the Communists, who were supported by the USSR. 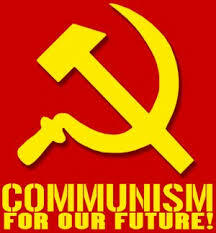 It is logical that an uprising which is intended to counter Communist does not receive any aid from Communists. If the nationalists had any intention to fight alongside the Communists and the Red Army, they would have done just that - fight alongside the Red Army, at a time on which the Red Army was actually in Warsaw. Most Western supplies failed to reach their targets as they were dropped from high altitude and were spread by the wind. Since the frontlines were moving quickly in urban battle, they would often reach Nazi-controlled areas. In this regard, I guess that dropping grain without parachutes makes sense. During the period between March and November 1945 alone, more than 1.5 billion rubles (around $283 million) worth of food in the prices of 1945 was provided for the sake of the Polish population and the sowing campaign in the country. The Provisional Government of Poland was supplied with over 130,000 tons of food, 20,000 tons of cotton, 100,000 tons of leather, and more than 2,000 trucks during the second and third quarters of 1945. 600,000 Soviet soldiers and officers died while liberating Poland in 1944-45.